MVC3 Akuma Trailer - Killer Super Counter! 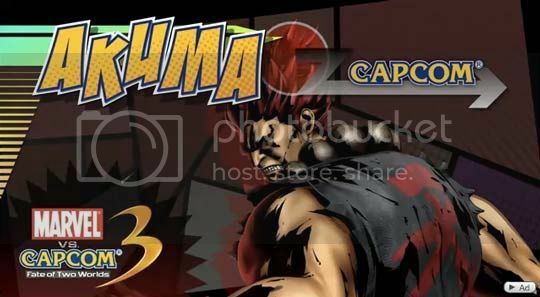 Let's just say we didn't expect Akuma to be part of Marvel Vs. Capcom 3 and act super surprised when we watch the trailer. Now that's over with let's focus our attention to his fighting style, as always he looks like he's going to be the favorite of aggressive player types. I'm still not getting used to seeing electrical currents on his legs when he does hurricane kicks but the purple flames and fireballs really look great. You can go ahead and see all the hurt he's laying down on Dr. Doom after the break.